Successful restoration requires specialist knowledge combined with painstaking attention to detail. John Ravenor has built an enviable reputation for undertaking such skilled work, using his expertise and knowledge, crafting replacement parts where possible. RavBrass is the place to come no matter how extensive the restoration. We will give a detailed estimate of cost once we have seen the instrument, and before commencing any work. 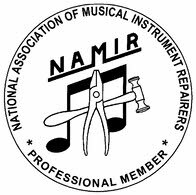 Professional restoration maintains and often adds financial value to antique instruments.